Teenagers love taking photos everywhere. Our camera rolls are filled with hundreds of pictures that consist of selfies, portraits and landscape captures. However, out of all the hundreds of photographs, only a number are acceptable to upload to our Instagram pages. Since spring is here, taking photos is a way to show off our feeds. Below are five perfect places to get the ideal Instagram post in Bucharest while exploring this lively city and capturing beautiful shots of the outdoors. 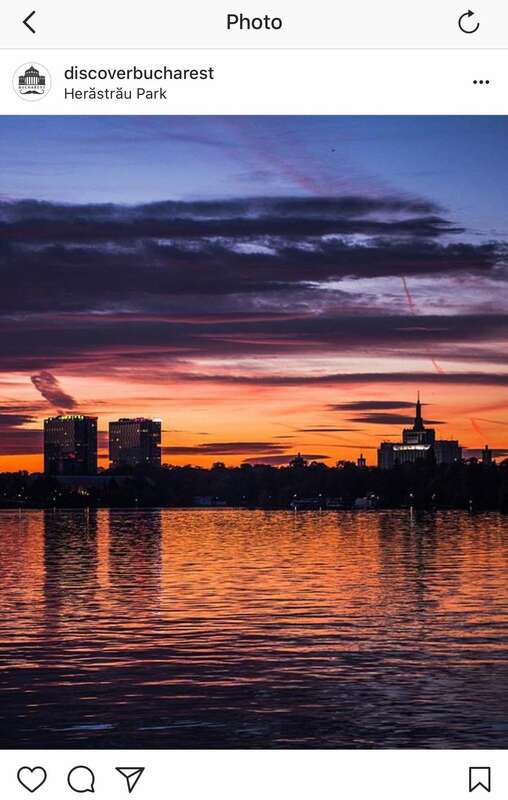 These places vary from artistic graffiti, old style architectures, vibrant umbrellas hanging from the sky and a beautiful park with reflections on the lake. Not only will there be multiple places to visit but also advice for taking the perfect picture to post, such as composition, lighting and the excellent moment to press capture. 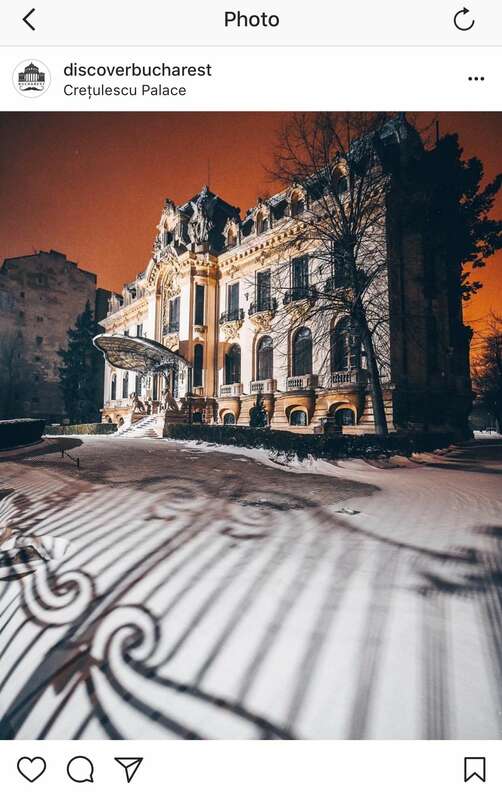 These insights come from Radu Nita and his Instagram feed Discover Bucharest, which has more than 31k followers. 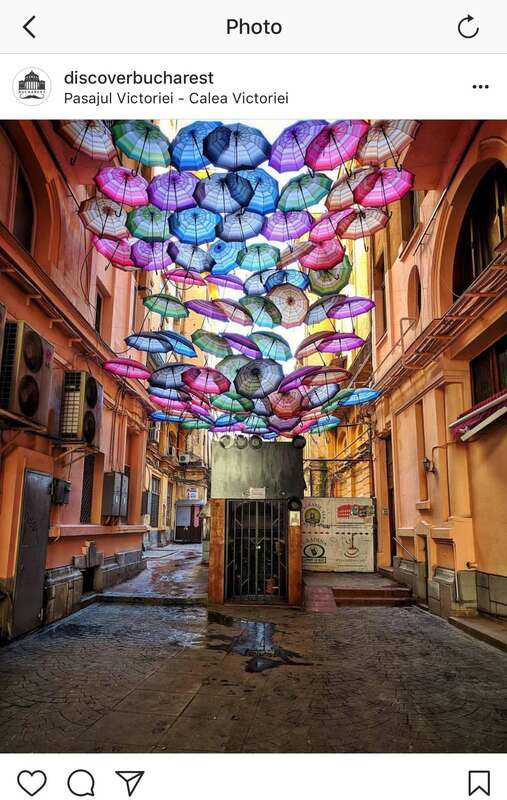 In the center of Bucharest there is an alley that has dozens of colorful umbrellas hanging two meters above your head. 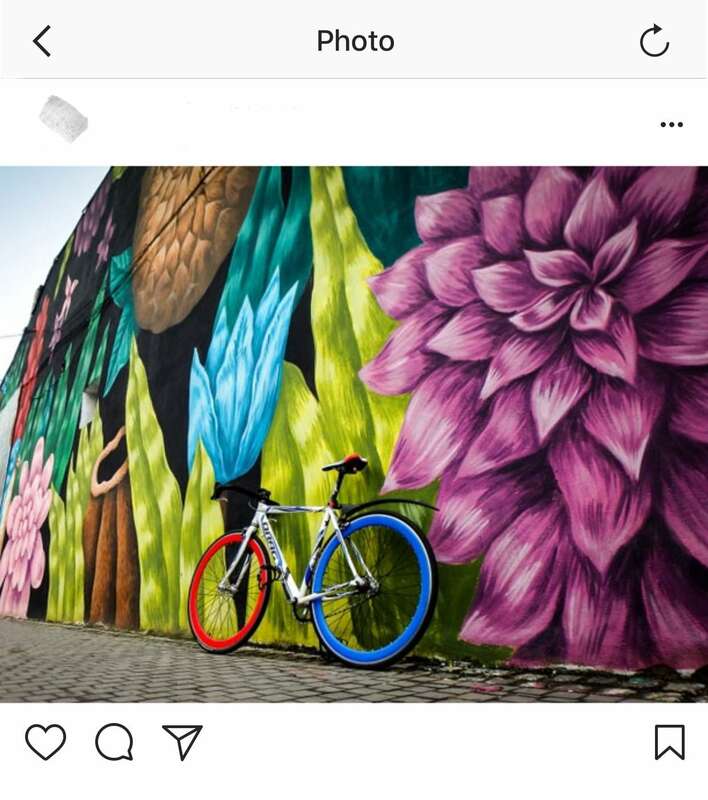 It is a very colorful scene that is the ideal place to pose underneath. It is located near a pizza restaurant called ‘Pizzeria Colesseum,’ so after posing and capturing a picture for Instagram you can treat yourself to a slice. 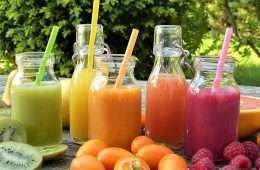 Going to the park is an amazing activity in the spring for riding your bike, taking a walk or just hanging out with friends, so pulling out your phone for a picture could take seconds and will end up gorgeous any time of day. Herestrau Park is one of Romania’s largest parks; however, the gem is the lake. It is an all-day reflector for its surrounding. Although the lake is 187 hectares and has so many perspectives, the best spot is next to the restaurants, sitting on the lake near the Chinese Embassy. This art nouveau entrance is extremely eye-catching and historic for one’s Instagram page. It was built in 1901 until 1903 by Gheorghe Grigore Cantacuzino, Romania’s former mayor and designed by the architect Ioan D. Berindei. It is a museum dedicated to Romania’s most famous musician, George Enescu. This building has historic architecture that is temping for photos. While you’re there, you should also explore the works of the musician and discover the life of Romania’s most successful musician. 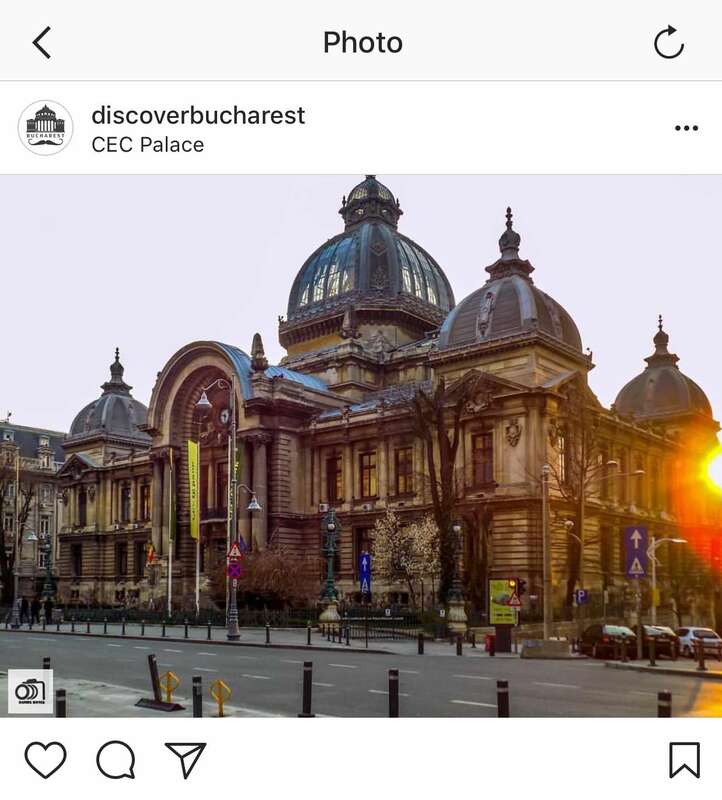 CEC Palace is one of the most popular pictures tagged with #Discoverbucharest. It is a beautiful, historic building with glass rooftops and brick details that was built in 1900. Standing in front or beside this enormous bank gives the shot a stunning historic backdrop. It is placed in the center of Bucharest and is a perfect stop for taking photos and going out to eat or exploring the city more. 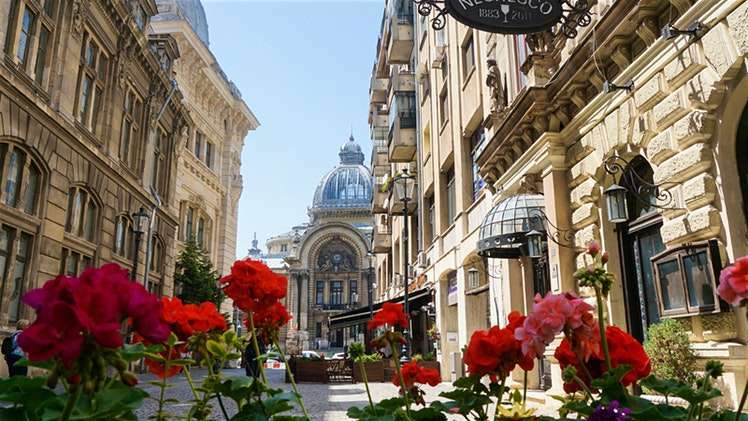 The city of Bucharest beholds many beautiful locations to brighten your feed up. 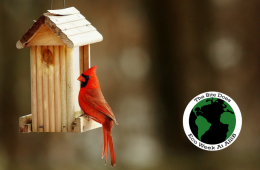 Go grab your camera (or phone) and take advantage of the liveliness before you.